Going the Distance: Where Quality Exceeds Expectations: Blue Diamond Athletic Medal Displays, Inc.
Where Quality Exceeds Expectations: Blue Diamond Athletic Medal Displays, Inc. Please note that I received no compensation for writing this blog post! I was inspired to share the story of Blue Diamond Athletic Medal Displays, Inc. and my beautiful friendship with Ken and Nell that began with a contest on Facebook and has grown through the years! When it comes to shopping for that perfect gift, it feels like everyone is hard to shop for. Especially athletes! They know what they want, and they would go to their running/Tri store and buy it….Now what? Another gift card for their dust collecting gift cards pile? Thankfully, there are a handful of awesome, unique gifts under Blue Diamond Athletic Displays Products Umbrella. Gifts perfect for Runners and Triathletes. This brag worthy gift items promise to make the athletes in your life feel appreciated and brag about the gift you have given for the rest of their lives. 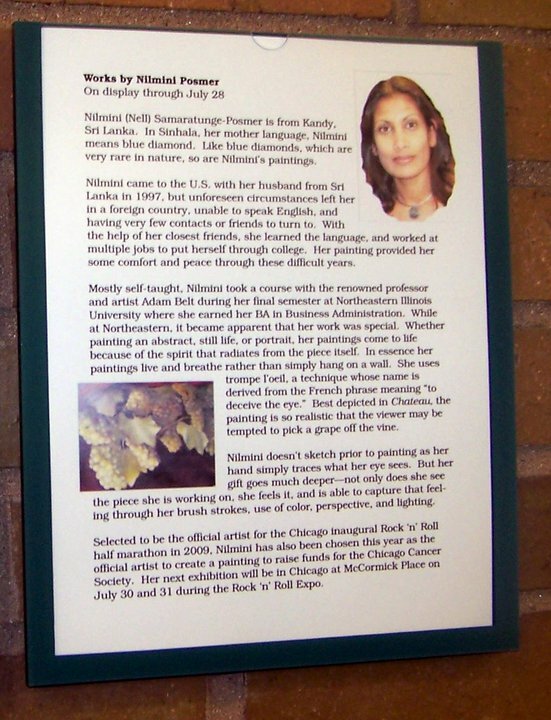 Blue Diamond Athletic Displays, Inc. Where Quality Exceeds Expectations…..
Click to enlarge the above photo to read more about Nell's journey as an artist! 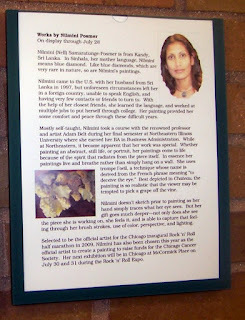 She was selected to be the official artist at the Inaugural Chicago Rock 'n Roll Marathon in 2009. She was chosen to create a piece that would raise money for the Chicago Cancer Society. Ken who is an engineer had designed a medal display with Nell's artistic input and they brought it to the Race Expo ... thus Blue Diamond Athletic Displays, Inc. was born as the medal display was met with rave reviews! Nell's name in her mother language means blue diamonds and indeed, like her name, she is as precious and rare as a blue diamond. 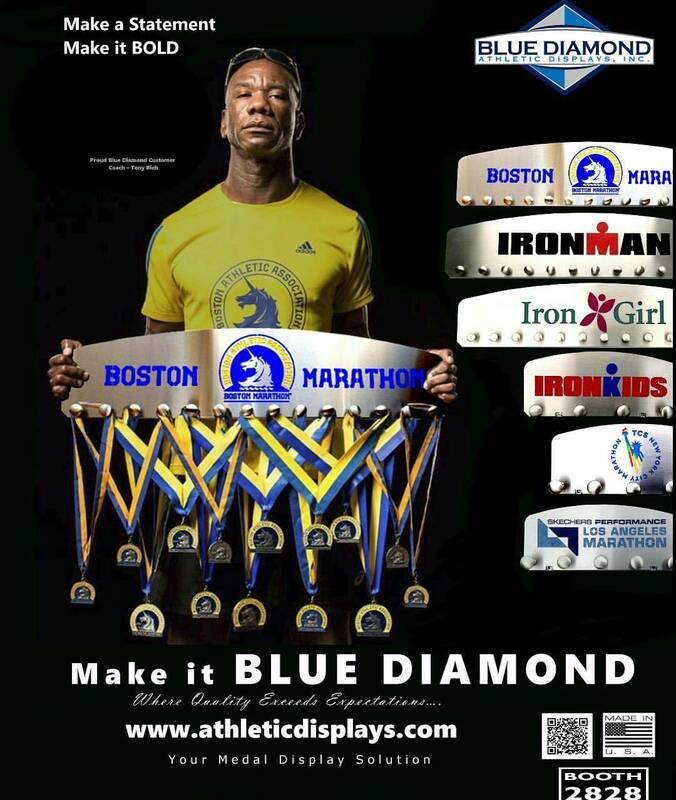 At Blue Diamond Athletic Displays INC., we design, engineer, and manufacture High End Athletic Displays. We specialize in combining Artistic Elements with state of the Art Design and Manufacturing Techniques to create a means for all athletes alike to celebrate their athletic journeys and accomplishments. The best thing co-founders Ken and Nell Posmer did at the outset was to NOT look at the market and other existing products. In doing so, Ken with his 30 years of design and manufacturing experience teamed up with his professional artist wife Nell, and created something truly unique, something truly beautiful. Their blend of experience and combined skill sets, enable them to create amazing Displays that are Art Quality and become instant conversation pieces wherever they are mounted for the price of a good pair of running shoes. As endurance athletes, Ken & Nell understand the challenges, amount of effort, sacrifice and dedication their athletes face each and every day. This awareness fuels Blue Diamond’s customer focus to be the very best in the industry. Although Ken & Nell are as “Mom and Pop” and as “Hands On” as it gets, and proud of it, Blue Diamond Athletic Displays, INC. is diverse in their product offerings. With a plethora of CAD/CAM and Graphics Software to work with, unsurpassed manufacturing horsepower, and a professional artist on staff, Blue Diamond has the ability to handle orders ranging from one special customized Display to high volume for larger events. Like so many of my friendships these days, I 'met' Ken and Nell and Blue Diamond Athletic Medal Displays, Inc. on Facebook. They had a contest to guess what were the only states where, several years ago, they had not sold any medal displays. I won the contest. Of course now they sell medal displays in every state. Running races, especially marathons, for anyone is no easy feat but for me, as a survivor of paralytic polio, it was a challenge of a lifetime. 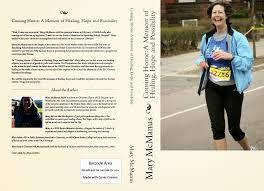 I was transformed from one who thought of herself as disabled and unable to participate in athletic feats to a champion. It was a moment of redemption and now, thanks to Blue Diamond Athletic Displays, we have a special place in our home where I am reminded of my strength, courage and fortitude and can remember the joy of that special day. Both my husband and I are later life runners. What a joy to be reminded of the gift of running and our accomplishments in our living room, with such a magnificent piece of work with the Blue Diamond Athletic Medal Display. In addition to forging beautiful athletic medal displays, Ken and Nell forge special friendships with their customers. When Tom and I helped out at their Boston Marathon Expo booth this year, people stopped by just to say hello to Ken and Nell. They have been champions of my journey and spread the word about my books! We chatted the other night about the priceless value of having a hand crafted medal display in one's home, a conversation inspired by my recent blog post, "Who's the runner in this family?" There are so many powerful memories that medals evoke. There's a lot of mettle in the medal. It's an opportunity to relive and celebrate the triumph of conquering a course and remembering all the moments that led up to crossing the finish line. Visit Blue Diamond Athletic Medal Displays, Inc. website, browse their blog, Ken's Korner, and their incredible array of medal displays. Have an idea for a customized display or have questions? You can use their contact page. Be sure to like and follow their page on Facebook. You'll love being part of the Blue Diamond Athletic Medal Displays, Inc. family. Go the distance with strength and courage! Be sure to visit my website by following this link. Mary McManus, once known as “Easy Out Alper” in gym class, contracted paralytic polio at the age of 5 but managed to run the 2009 Boston Marathon at the age of 55. When Mary was diagnosed with Post-Polio Syndrome, a progressive neuromuscular disease in December 2006, she decided she was not going to take the diagnosis sitting down. 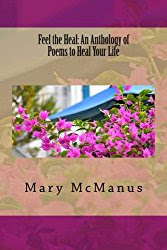 In May 2007, Mary took a leap of faith leaving behind her award winning career as a Social Worker at the VA to heal her life. She got still and asked for Divine Guidance. Through the power of visualization, lifestyle changes and with fiery determination, Mary healed mind, body and soul. 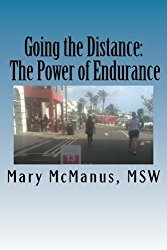 Mary’s quest to heal her life led her to the sport of running that tested her mettle while fueling her journey of transformation from a survivor of childhood paralytic polio and severe trauma at the hands of family members to a woman who embodies faith, grace under fire, courage, determination, endurance and resilience. Mary holds a BS in Communications from Boston University, an MSW from Boston College. Run Bermuda! Run Happy! Be a Hill Seeker! On Believing, Healing and Crushing Goals! Who's the runner in this family? The Meaning of My New Pair of Kicks! Life Outside the Comfort Zone! Going the Distance: The Sport of Running!